Alfred Eisenstaedt was an American photographer who was born in Germany. He is widely considered to be the “father of photojournalism.” He is best known for his work the LIFE magazine and for his iconic V-J Day Celebration photo. 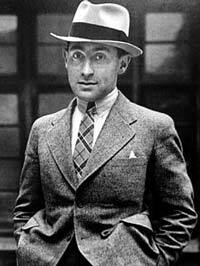 Alfred Eisenstaedt was born on December 6, 1898, to a Jewish family in Dirschau, Poland. When he was eight years old, his entire family – parents Joseph and Regina and his two brothers – moved to Berlin. The family stayed there until the rise of Hitler’s Third Reich. Alfred father was a merchant. At the age of 14, Alfred’s uncle gave him an Eastman Kodak No.3 folding camera. This helped create a passion and a lifelong love of photography for Alfred. If his uncle had not given him the camera, Alfred would have likely followed his father’s footsteps and became a merchant. Alfred entered the armed services at the age of 17, much like what many boys did at that time. During his military service, he suffered a shrapnel injury in both his legs. He was sent home to recuperate and to spend a year recovering before he could walk without using any aids. But this gave him the time to indulge his interest in photography. He attended museums and learned the techniques of light and composition during this time.. In 1922, Alfred started a temporary career as a belt-and-button salesman. With this job, he saved enough money to buy the necessary photographic equipment that he needed. He would take pictures with his camera and develop them in his bathroom. In 1927, while on vacation with his parents in Czechoslovakia, Alfred photographed a woman playing tennis. The photo was taken from 50 yards away from a hillside, and the image perfectly captured the woman’s shadow that the sun had cast on the court. He later sold this picture for three marks to Der Weit Spiegel. Alfred immigrated to America in 1935 after he had acquired a Rolleiflex camera. After a year, he had mastered his photography skills and became one of the staff photographers for LIFE magazine. While working at LIFE, Alfred was called “Elsie” by his peers and he did many high-profile assignments for the magazine. He was also assigned to do various celebrity cover photographs by the magazine because, as a non-U.S. citizen, he was not allowed to be sent overseas to cover the war efforts. In 1949, he married Kathy Kaye whom he met in New York City. One of the most famous pictures taken by Alfred Eisenstaedt is the photo of a sailor kissing a nurse, which was entitled V-J Day, Times Square, 1945. In 1942, Alfred officially obtained U.S. citizenship and travelled overseas to capture photographs of the effects of the war. He even toured to Japan to see the effect the nuclear bombs had done to that country. His experience in Hiroshima, as explained by Alfred, stirred his soul. During the 1950s, Alfred photographed poor people of Italy, American troops in England, and also took an image of Sir Winston Churchill. He has had features on more than 100 covers in LIFE magazine and he has taken more than 10,000 prints. Eisenstaedt passed away in 1995, but his photographic works have set standards for many photojournalists who have followed him.